Having lived in Toronto from 2010-2015 and visiting frequently since, I have seen its increase in popularity as one of the hottest up and coming cities in North America for tourists, and especially young people, to visit and even to relocate. As the city has increased in popularity, its food and drink scene has also spiked, with plenty of new restaurants and bars opening in the last few years to accommodate the increase in travelers. 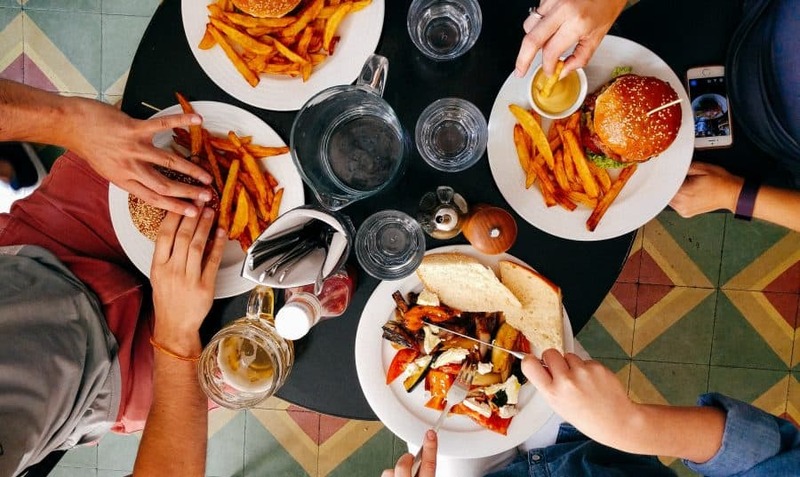 If you’re one of the many people visiting Toronto for the first time, you will not want to miss trying out the restaurants and bars listed below. Pai is a restaurant located on Adelaide St. in downtown Toronto (between St. Andrew and Osgoode station by subway). It was opened in 2014 by Jeff and Nuit Regular, a married couple determined to bring the tastes of Northern Thailand to Toronto. Though Pai hasn’t been open for a long time, it is incredibly well-known throughout the city as one of the best places to get your Thai food fix. Chef Nuit’s cooking is so authentic that Pai was even awarded the Thai Select Premium award by the government of Thailand. Price range: The average price for a starter ranges around $15 which, for a popular restaurant in Toronto, is fairly reasonable. Dishes to try: Pad Thai. This is one of the most typical Thai dishes, but I promise that it will be worth your while to try! I’ve never had a Pad Thai as authentic tasting as the one at Pai. Update (June 2018): Unfortunately, Frings has closed. Price range: Be ready to dish out $30 for one starter at the very least. Most people end up paying more at Frings because of the decent variety of drinks and appetizers. Dishes to try: Slow braised short ribs, braised beef poutine (you’re in Canada so poutine is basically bread), and for drinks, the Aubrey Palmer. Sushi Bong is what I’d consider a hidden gem. It’s located in uptown Toronto between Finch Station and North York Centre Station on Yonge St., nestled amidst a few other stores in a condo complex. Sushi Bong has the largest sushi rolls that I’ve ever had, and one roll is more than enough to fill me up for dinner. They also have a very extensive menu of rolls to choose from. One thing to note is that there is barely any seating in the store, so be ready for takeout when visiting this restaurant. Price range: Sushi Bong is extremely affordable. Almost everything is under $10 and as I mentioned before, their sushi rolls are double the size of traditional ones. Dishes to try: All the rolls are delicious but my personal favourite is the Dynamite Roll. For appetizers to share (the quantities are quite large), the tempura and teriyaki are always solid choices. 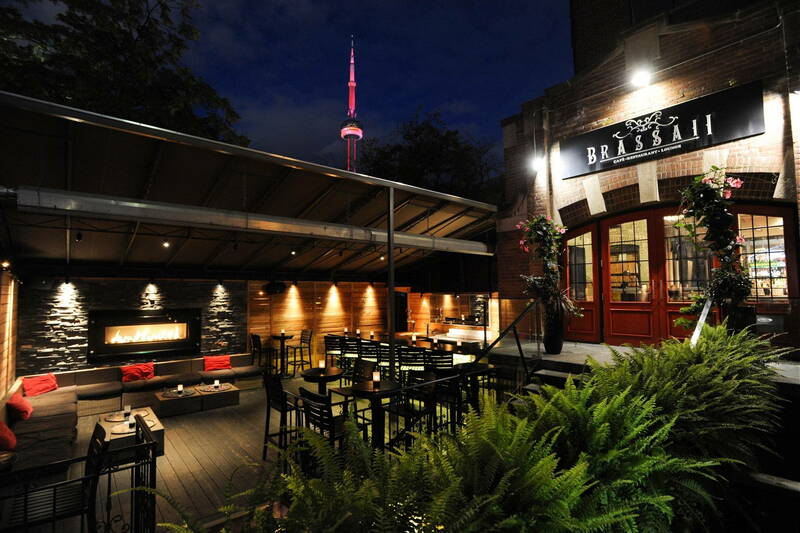 Brassaii is an upscale restaurant that is transformed into a luxurious club scene at night. It mostly draws in crowds of young professionals anywhere from age 20-40, many of which go to Brassaii to unwind for the week and go all out partying with VIP bottle service. It has a great dance floor and the DJ usually plays a good mix of popular songs (many being Drake songs which only intensify the Toronto experience). They also have outdoor booths for rent and an outdoor patio open during the summer which are both good places to sit and chat with friends for a more relaxed experience. Price range: Slightly pricier. Be ready to pay around $20 for a cocktail. Lavelle is a fairly new bar that opened in 2016. It is also located on King Street West and is a rooftop bar with an outdoor pool. Everything about the bar screams sophistication and elite class, and there are amazing photo opportunities both inside and outside the bar. It offers amazing views of the city and is just as fun to go to during the day as it is at night, especially on warmer days when the outdoor pool and bar are open. It’s definitely catered more towards professionals age 30-50 who want to relax and grab a drink as opposed to party and dance. Price range: On the pricey side. Cocktails go up to $30, though the average one is about $20-$25. 2Cats is, yet again, located on King Street West (you may be seeing a common theme here for bars and clubs). It draws in an older crowd (probably 40+) with the 90’s music that it plays all night. It has a wraparound bar and plenty of areas to sit or stand around it. It isn’t a huge party bar and is more fitting for chatting with friends and casual hangouts. Price range: Very affordable bar. On Thursdays before 10 PM and Fridays before 11 PM, they offer $3 rails drinks. Awesome, thanks for sharing. Haven’t been to Toronto yet, but hey when I will, I will certainly look for those restaurants. Great post, I used to live in Toronto in the 90’s and loved it! Your recommendations are all new to me but Toronto has always had a great nightlife and I don’t doubt that your restaurants and bars in your list are all worth a visit. My brother still lives in Canada, not too far from Toronto (Port Perry) and I’ve been threatening to go visit him for a while now – if I do make it soon I will certainly visit a few of these establishments. Good luck, and thanks for sharing! Wow Toronto has so much more than I remember. I’ve been a few times but that was years ago. You make me want get back there to check out all this great stuff. Totally agreed with you on PAI! The food is cheap and delicious, and I loved the vibe there! Haven’t been to other places so I’ll need to check them out on my trip to Toronto in the summer. Thanks for your suggestions! Lavelle looks the best! I have this crush for restaurants & bars that are in poolside and in terrace, and this is a combo of both!! I love having a list of foodie places to visit when I planning a trip anywhere! It really helps in making decision that could take me hours otherwise! I love the variety available – and that Lavelle has a poolside terrace makes it look like it should in in some tropical paradise – and not in the middle of an urban jungle – and looking like that there is no wonder its at the pricier end of the market. Totally worth it for a special occasion though! Toronto is on my list – I love the look of 2cats – it looks like my kind of bar. That pool top bar looks incredible – an amazing place to get dressed up and view the city skyline.